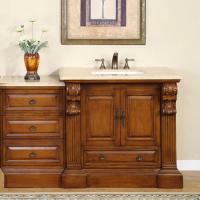 Antique brown hardwood and travertine counter tops come together in this bi-level single sink vanity. The results are slightly more than traditional and lovely. 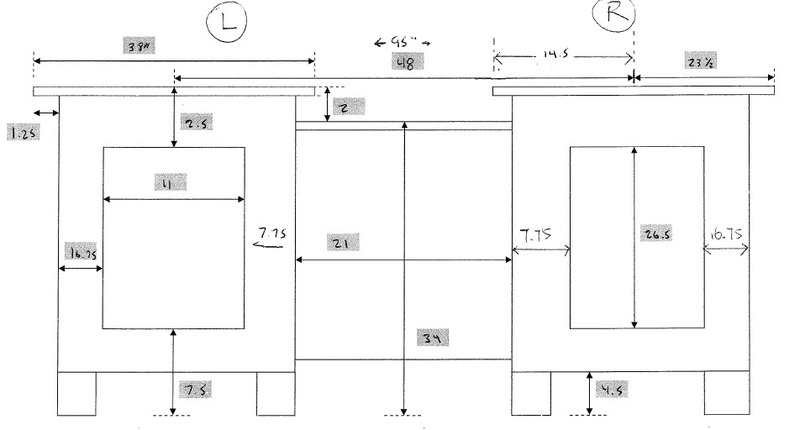 Seven drawers and a single cabinet provide plenty of storage. My Husband and I were renovating our bathroom and started shopping for a vanity. Every vanity we found that I liked was very expensive. 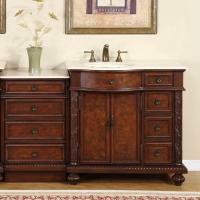 I found this vanity on-line and I fell in love with the look and the size was perfect for my bathroom. We received the vanity in our home and it is absolutely beautiful, even better looking than the picture if you can believe it. I found customer service to also be excellent. I would have rated the vaity and experience 5 stars, but unfortunately the vanity had a small chip on the front door which stood out. We were able to color the chip in, but it didn't seem to take the furniture marker very well. 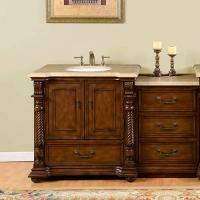 Overall we are very happy and satisfied with our purchase and would purchase the vanity again. My experience was wonderful from my initial calls with questions to the vanities arriving in my home. I am very pleased and fully impressed! Outstanding product. Very rich looking. 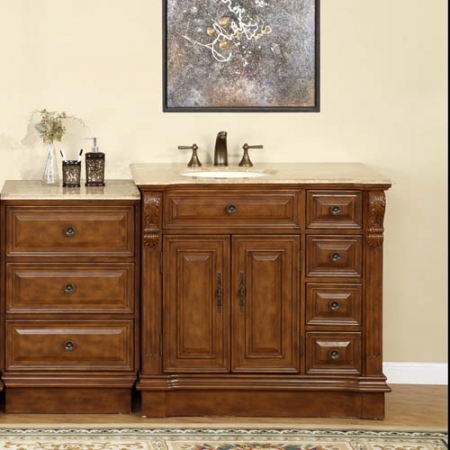 Also, Unique Vanities has outstanding customer service. Love dealing with these people!